What diseases are associated with tooth loss? When you were a kid, tooth loss meant a financial reward from a benevolent, mythological creature. The event also enhanced the charm of your smile, drawing many "oohs" and "aahs" from grown-ups. As an adult, however, you shouldn't expect such results. Not only can tooth loss lead to costly dental treatments, it can also detract from your physical appearance. And the disadvantages don't end there; tooth loss can actually increase your risk of getting serious, chronic illnesses. But before we cover those diseases, let's look at the primary one that's responsible for tooth loss in the first place: periodontal disease. ► Read Also: DENTAL PROSTHESES : How to make a maryland bridge? Periodontal disease, aka gum disease, is not the only cause of tooth loss, but it's the primary reason people over age 35 lose their teeth [source: American Academy of Periodontology]. Less common sources of tooth loss include osteoporosis and injury to the face. Osteoporosis is a culprit because a reduction in bone density can lead to deterioration of the bone that supports the teeth [source: American Academy of Periodontology]. When it comes to periodontal disease, there are two phases: gingivitis, which causes painful, bleeding and swollen gums, and periodontitis, the advanced stage. However, the condition first starts with plaque, that sticky material that clings to teeth and gums. Plaque is filled with bacteria, and that bacteria creates acids and chemicals that break down gum tissue. Plaque is a naturally occurring substance in the mouth, so it can't be completely prevented. It is, however, possible to reduce the presence of this gum destroyer with proper oral hygiene, which includes brushing, flossing and visits to your dentist for cleanings and checkups on a regular basis. Conditions and habits that can make plaque harder to control include smoking, chewing tobacco, family history of gum disease, stress, low-nutrient diets and a weakened immune system caused by diabetes, leukemia or AIDS. We've covered the main disease that causes tooth loss, now let's look at how it can lead to other diseases and conditions. Keep reading to learn more. Cardiovascular diseases: Researchers have long recognized a connection between periodontal disease and cardiovascular diseases. In fact, studies have shown a noteworthy link between gum disease-related tooth loss and the presence of carotid artery plaque, as well as the occurrence of peripheral artery disease [sources: Desvarieux, et. al. ; Hung, et. al]. Research in China found that adults with a high number of missing teeth had a 28 percent increased risk of dying from heart disease, and a 12 percent increased risk of dying from a stroke [source: Abnet, et. al]. Cancer: The relationship between periodontal disease and cancer is another one experts have been aware of for some time. However, studies are showing that there are even more potential cancer links than originally suspected. 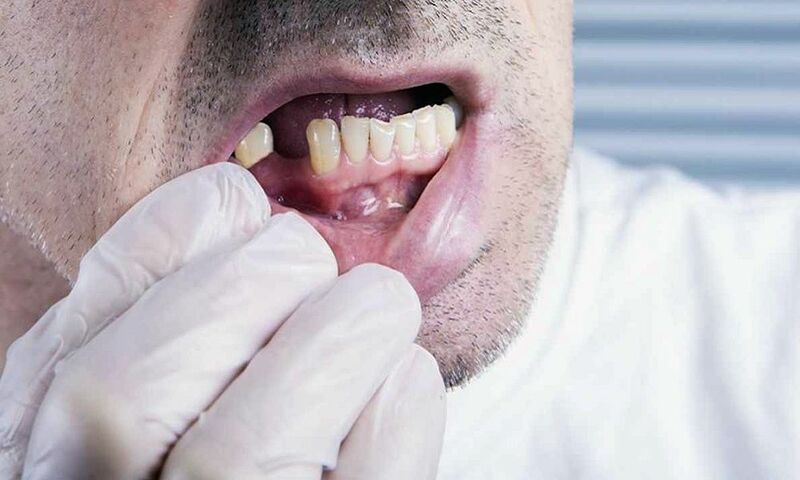 Not only can advanced gum disease possibly lead to oral, lung, pancreatic and upper gastrointestinal cancers, it may also be connected to breast cancer [sources: Meyer, et. al; Soder, et. al]. Dementia: A landmark, ongoing study of aging known as the Nun Study has taught researchers a lot about dementia. One of the things it has brought to light is the possibility that tooth loss can lead to memory loss. While periodontal disease may be responsible for this dementia risk, other causes -- such as childhood nutritional deficiencies -- haven't been ruled out. In fact, the topic is likely to undergo more research before a definitive explanation can be given for the connection [source: American Dental Association]. Chronic kidney disease: Another condition with an obvious but not fully understood relationship with periodontal disease is chronic kidney disease. Studies show that tooth loss is associated with an increased risk of the kidney condition, but experts are unsure if the link is casual or causal [source: American Academy of Periodontology]. Pregnancy risks: Complications associated with periodontal disease and tooth loss can include premature birth, preeclampsia and fetal growth restriction. And not only can periodontal disease cause problems with a woman's pregnancy, but the pregnancy can make the periodontal disease progress faster. To make matters worse, it seems that treatments do not reduce the advancement of periodontal disease during pregnancy. Researchers think this may mean that more aggressive gum disease treatments are necessary for pregnant women, although the issue is still being studied. One certainty, however, is that proper dental care is an important part of prenatal preparations [source: The Canadian Press]. That's a pretty scary list of possibilities. So, it seems that lazy or inefficient oral care can cause more trouble than just a cavity or bad breath. And while some of the connections between periodontal disease and other health conditions are still being researched, it's best to err on the side of caution and follow your dentist's instructions: Brush and floss twice a day and between meals, and visit your dentist for a cleaning and checkup twice a year. To further reduce your risk of gum problems, experts suggest you try to reduce stress, eat a well-balanced diet, stop smoking and find a way to halt tooth grinding [source: WebMD]. Want some more information before heading to the store to stock up on floss and toothpaste? You're in luck: Peruse the resources and links below.